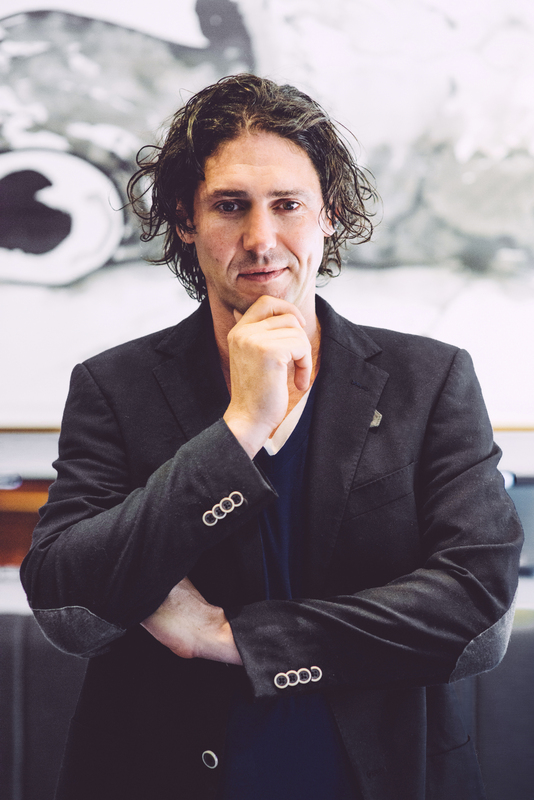 Chef, TV personality, author, loving family man – it appears that Colin Fassnidge has many hats. But perhaps the most noted hat for foodies goes to his extraordinary transformation of a small dining room in a pub to a two hat restaurant. The straight talking, Dublin born, chef has certainly had a well-travelled cooking career . He worked in Oxford in 1994 under Raymond Blanc at Le Manoir aux Quat’Saisons. After spending a few more years in the UK, he arrived in Australia and worked at some of Sydney’s most acclaimed restaurants, including Banc and est. Love him or hate him, Colin has made a great impact on the Australian food scene, known throughout the industry for his nose to tail cooking philosophy.Often criticised for his social media antics and brutal honesty in reality cooking show, My Kitchen Rules, there is no doubting that Colin’s heart belongs in the kitchen. While being Executive of Four in Hand, Colin has transformed the Paddington dining room in a pub to one of Sydney’s hottest foodie destinations, alongside recent addition 4Fourteen in Surry Hills. So what makes Colin tick? I caught up with him to find out more about his cooking style, his future plans and what it was really like working with Raymond Blanc. I like creating non fussy, simple food. As I’ve got older I have learnt to appreciate food and the ingredients more. I hate waste, so I try to convert even the most undesirable of off cuts into great dishes. Your menu seems to shift with the seasons: how important is local produce to your cooking? Using seasonal, local produce is really important. I am great friends with my local producers and farmers. Every day we have a chat about what’s coming up and the vegetables in season; they know what’s best for you and your menu. How did you transform Four in Hand from a small dining room in a pub to an award-winning restaurant? We worked our butts off! It wasn’t easy, the process took years. We set the bar really high to a certain level and didn’t stop until we got there. Who have been your main influences? My mum! I can remember having a passion for cooking from a very young age. My mum is a great cook. Food and meal times were always huge in our household when growing up in Dublin. And Raymond Blanc of course. What was it like working with Raymond? Tough! We often got our butts kicked (he jokes). Being a chef is a hard job. The biggest lesson Raymond taught me was to respect the ingredients. He taught me what to do/not want to do and most importantly to learn from my mistakes. A willingness to learn from your mistakes makes a great cook. And taste at every stage in the process. Tell me more about the famed pig’s ear schnitzel? Laughs. It actually started as a joke when we braised a pig’s ear in the kicthen for hours, then crumbed and deep-fried it like a piece of chicken schnitzel. No one thought it would be a a success on the menu; everyone thought we would go broke! Now they are a regular fixture on the bar menu, served with salsa verde. Everyone loves them! What are your favourite places to eat out in Sydney? Spice I Am, Mamak. I prefer smaller places. I have two little girls now so have to think about child friendly places. The ‘child effect’ means we have about an hour! You have travelled quite a lot in your career, any plans to open another restaurant overseas or interstate? My home is in Australia for now with my wife and two girls so definitely not overseas. Perhaps interstate? Maybe Brisbane? No definite plans yet. Colin has released his first cookbook Four Kitchens so you can enjoy his delicious dishes in your home kitchen. Congratulations Lisa….what a coup to get this interview. We would love to have the opportunity to dine at one of his restaurants.